FINRA also censured Saddle River, New Jersey-based Felix Investments. Among recent enforcement actions by FINRA were the expulsion of a firm for the fraudulent sale of about $3 million in senior secured zero-coupon notes and the censure and fine of another firm, suspension and fine of its principal, and bar of a representative over deceptive communications. Also, the SEC charged immigration attorneys with fraud against immigrants seeking U.S. residency. HFP Capital Markets LLC was expelled from FINRA membership and ordered to pay $2,980,000, plus interest, in restitution to customers after the agency found it caused the fraudulent sale of approximately $3 million worth of senior secured zero-coupon notes. According to FINRA, the firm sold the private offering of the notes to firm customers and in the offering and sales, knowingly misrepresented and omitted material facts about them. The notes were misrepresented as collateralized by certain barrels of leftover mining materials (or ore concentrate) and that the collateral was sufficiently valuable to secure an investment in the notes. The ore concentrate was actually nearly worthless. In addition, the firm omitted to disclose material facts about how the offering proceeds were to be used, and about the ownership and management of the issuer. While a few customers got money back after lodging complaints with the firm through so-called replacement transactions, the remaining customers lost their entire investment of $2.98 million and were not repaid. The firm also failed to conduct adequate due diligence on the offering or individuals involved, ignored red flags and failed to conduct any due diligence on third parties put forward as critical strategic partners for the business. Without admitting or denying the findings, the firm consented to the sanctions. FINRA censured Saddle River, New Jersey-based Felix Investments LLC, fined the firm $300,000 and ordered that, for at least a year, it file all retail communications as defined in FINRA Rule 2210 with the agency at least 10 business days prior to use. 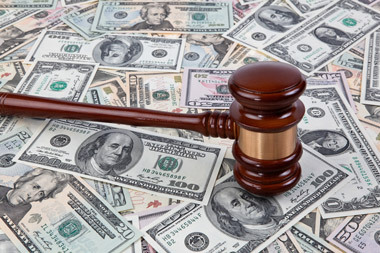 The agency also fined its principal Susan Mindlin Diamond $10,000, suspended her for four months and required her to complete 40 hours of continuing education (CE) relating to compliance with FINRA rules and the federal securities laws, including courses that cover supervision of communications with the public and the use of sales materials. In addition, representative Frank Gregory Mazzola was barred from association with any FINRA member in any capacity. According to FINRA, the firm, acting through Mazzola, sent emails to potential investors that contained exaggerated, unwarranted, and misleading statements or claims. None of the email correspondence mentioned either potential investment risks or comprehensive fund descriptions. In addition, Diamond and the firm failed to adequately supervise Mazzola after an acceptance, waiver and consent (AWC) was issued against him. Mazzola was put on a plan of heightened supervision to stop the misleading investor solicitations. However, there was no indication that Diamond, who was responsible for reviewing all emails Mazzola sent, or any other person at the firm actually reviewed all his e-mails. As a result he continued to send the deceptive emails. FINRA also found failures relating to implementation of a written anti-money laundering (AML) program that would bring the firm into compliance with the Bank Secrecy Act and associated regulations, and also related to maintenance of appropriate storage of electronic communications. Without admitting or denying the findings, the firm, Diamond and Mazzola consented to the sanctions. Check out SEC Charges Immigration Attorneys With Bilking Foreign Investors Seeking U.S. Residency on ThinkAdvisor.